When our client talked about building a swimming pool, we suggested that this should be heated by a large array of vacuum-tube solar panels. 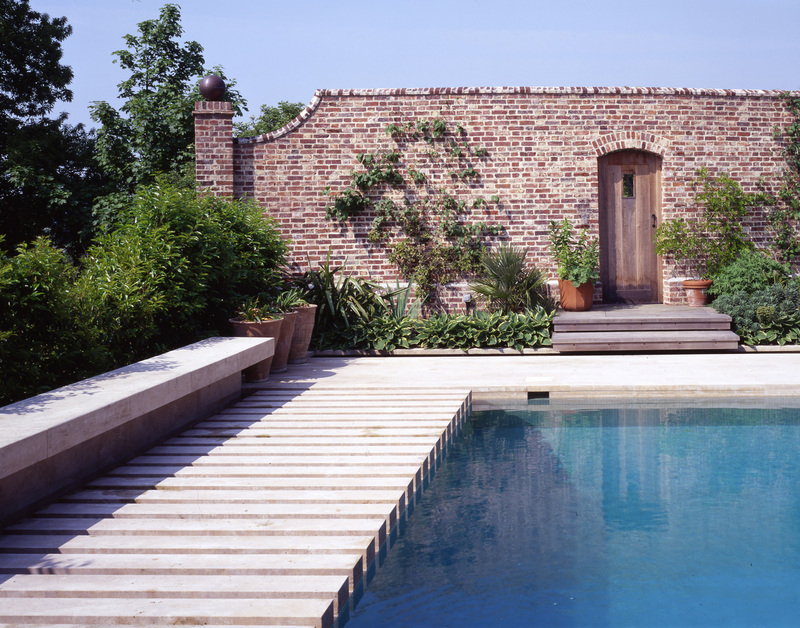 The project grew to provide supplementary heating for the house in the winter, and then to include the entire garden design including entrance driveway, forecourt, middle garden with fish pond, and walled orchard with swimming pool and gazebo. 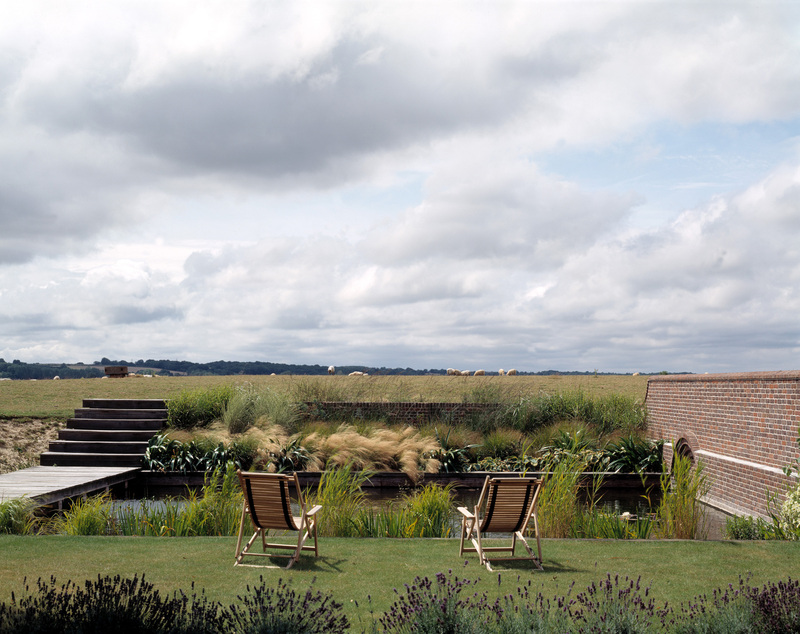 This project was a chance to revel in the Lutyens / Jekyll world of garden design, creating a contemporary garden in the Kent countryside, inspired by the English landscape tradition. The project demonstrates how, in an historic environment, a sensitive approach to contemporary design is simultaneously compatible with the use of traditional materials and building techniques as well as pioneering renewable energy technology. The design won a SPATA award, 2002.